After dabbling in his last few books in historical sagas and various thriller subgenres, Follett returns to his espionage roots with this absorbing, tightly plotted Cold War tale about skullduggery in the early days of the space race. Set in 1958 shortly after the Soviets beat the Americans into orbit, the story tracks the frantic movements of Dr. Claude Lucas, who wakes up one morning in Washington, D.C.'s Union Station, dressed as a bum. A victim of amnesia, he has no recollection that he is a key player in the upcoming launch of Explorer 1, the army's latest attempt to get a rocket into space. While Lucas slowly unravels the clues to his identity, the CIA follows its own agenda. The agency, led by Lucas's old Harvard buddy Anthony Carroll, has its own murky reasons for wanting Lucas to remain amnesic, and will kill him if he tries to interfere with the launch. Follett (The Hammer of Eden) does a wonderful job of keeping readers guessing about Lucas; is he a spy trying to foil the launch, as the CIA apparently believes? From the nation's capital to Alabama and Cape Canaveral, Lucas manages to stay one step ahead of his pursuers, steadily learning more about his memory loss, his wife, Elspeth, and his college friends Carroll, Billie Josephson and Bern Rothsten. 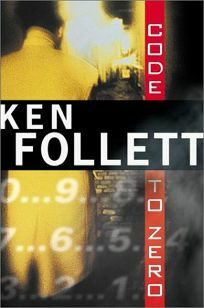 Suspense junkies won't be disappointed by Follett's man-on-the-run framework; tension courses through the book from start to finish. Yet where the story shines is in the chemistry between Lucas and the four other major characters. As told through a series of well-chosen flashbacks, all the old college chums are now working or have worked as spies. The dilemma, skillfully posed by Follett, is figuring out who's friend and who's foe. (Dec. 4) Forecast: In his first hardcover for Dutton, Follett is wise to return to his forte of espionage thriller, and to base this novel on a real event, the unexplained delay of the 1958 Explorer 1 launch. Given the promotional hooplaDwhich includes a 425,000 first printing and $400,000 ad/promoDplus first serial to Reader's Digest; status as a BOMC, Literary Guild and Doubleday Book Club main selection; simultaneous audios from Penguin Audio; and the sale of movie rights to Columbia Pictures, this book has a good chance of dancing with the charts.